Atascadero news of the day is all good. 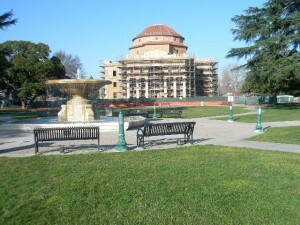 First of all, the City Hall retrofit after the 2003 earthquake is finally well underway and the City plans to relocate its offices back there after construction is complete. The city park looks beautiful, the fount ain flowing continually and nearby, the Galaxy Theatre is in full swing. The downtown revitalization, although probably 15 years behind what has taken place in Paso Robles, is definitely happening. The city, finally, is looking to the future as they make decisions today. 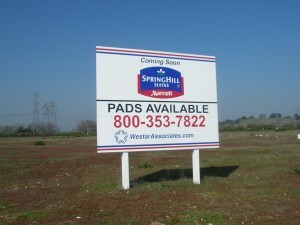 Secondly, in Atascadero News is the approval of the new Spring Hill Suites by Marriott. The project consists of 130 extended stay rooms, 5,000 sq feet of meeting space, a pool and dining area. Located in the same complex as The Home Depot at the San Ramon exit off of Hwy 101, this development will not only provide much needed tourist housing for the entire Central Coast, but it will bring needed jobs and revenue into this fine City. This Tribune article has even more detail on the project. And additionally, Atascadero news includes future development of the Eagle Ranch in the Southwest section of Atascadero, off of the Santa Barbara Road exit at Highway 101. This development, currently still in the planning process would include multiple single family home plots of a minimum sq footage of one half acre, acres and acres of open space, and a well developed plan that would ultimately give the North County of San Luis Obipso a place to grow and at the same time enjoy the beauty which we so love here. 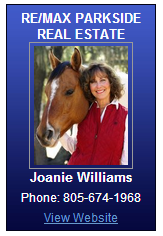 Find out more information about Eagle Ranch. So, this sleepy little town is finally waking up and coming into it’s own. Perhaps then, its time that you looked into Atascadero as a place to put down roots and enjoy the Central Coast of California. Call me for more information on this wonderful community! This entry was posted in Atascadero, Real Estate News and tagged Atascadero News. Bookmark the permalink.